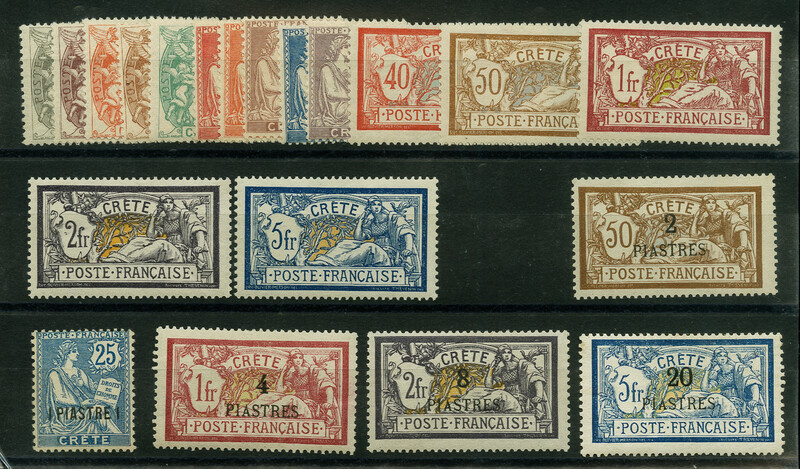 CRETE: 1902/03, French Offices in Crete Issue, complete country, first set 5fr appears never hinged others range from hinged to very lightly hinged; second set values are backstamped, most unused. 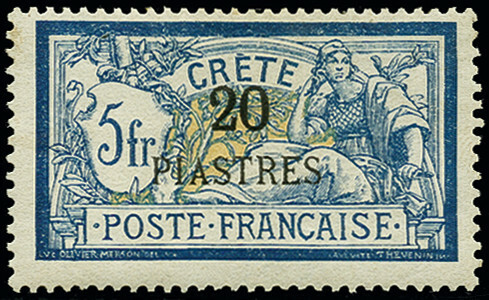 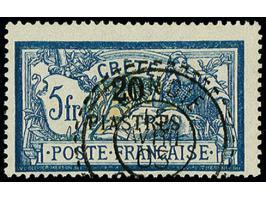 1902/03, French Offices in Crete, complete country issues, first set's top two values backstamped Schmitt; most of second issue marked as "echt" in Schmitt's handwriting. 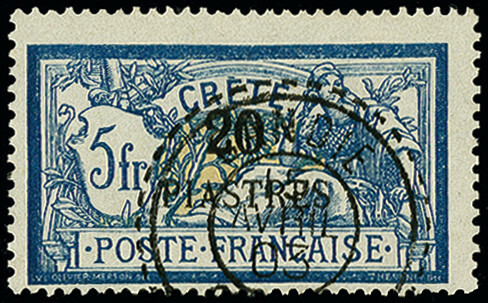 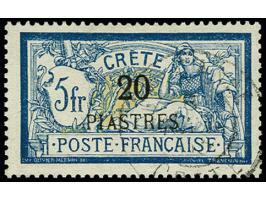 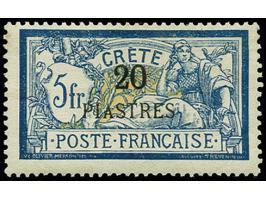 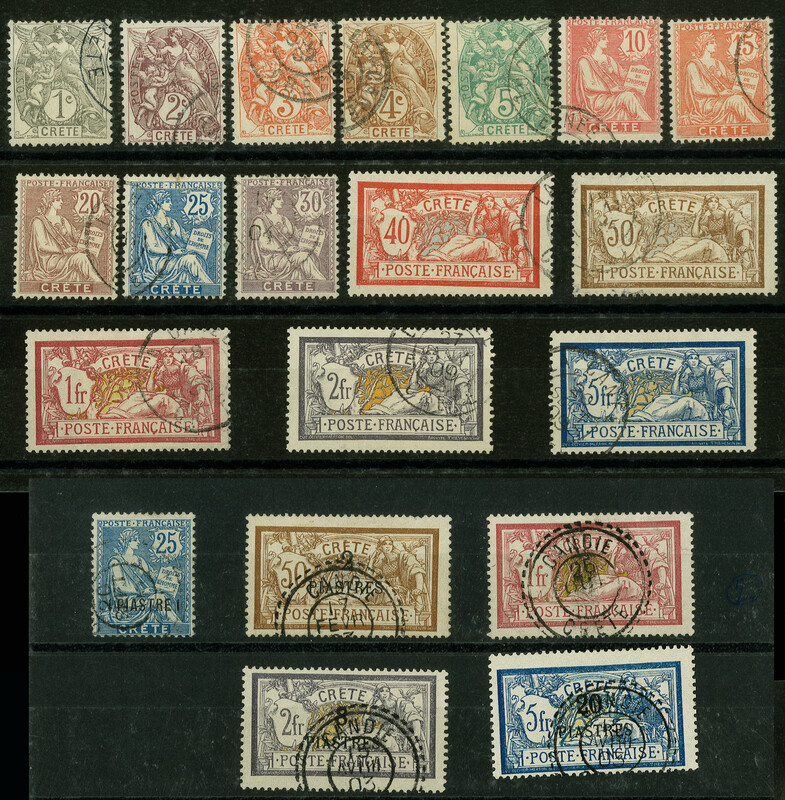 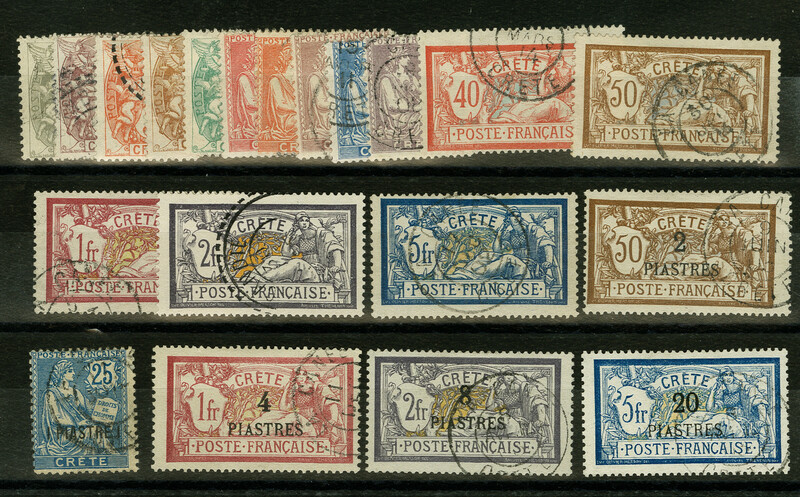 1902/03, French Offices in Crete, complete country issues, top values of first set backstamped; most of second set on fragments, marked as "echt" in Schmitt's handwriting. 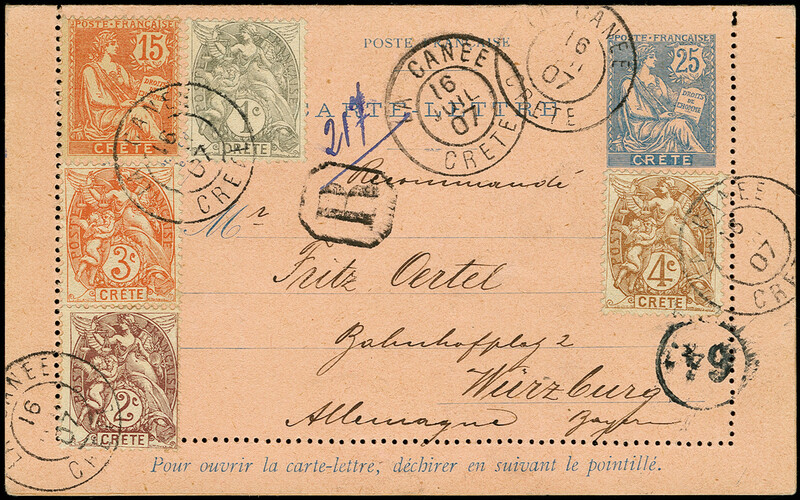 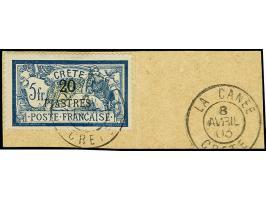 1902/03, French Offices in Crete, complete country issues, very nicely canceled, second set all backstamped Schmitt. 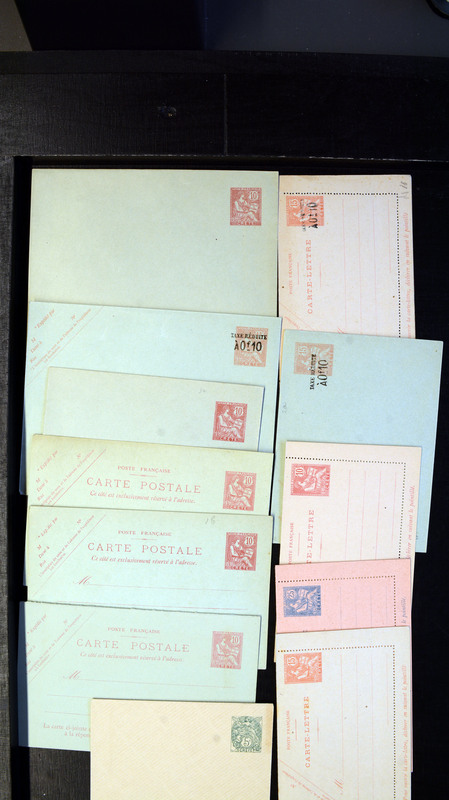 1902/08, Complete set of the postal stationery cards and envelopes issued, including all their different sizes, all unused, some with pencil numbers, overall clean, a couple with some bends or toning. 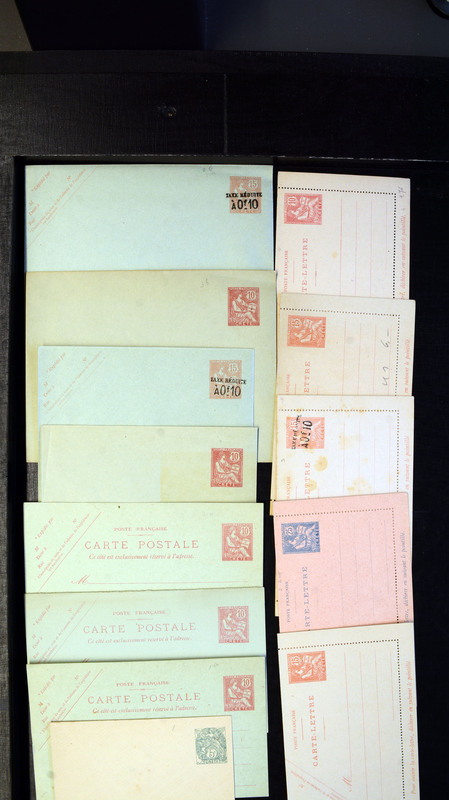 1902/08, Complete set of the postal stationery cards and envelopes issued, including their different sizes, all unused, some with pencil numbers, overall clean, a couple with some toning. 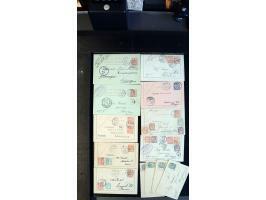 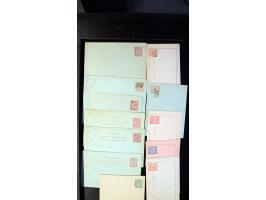 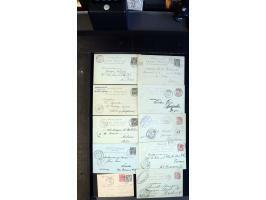 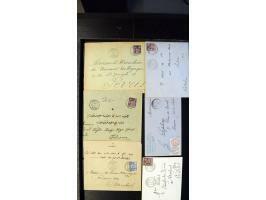 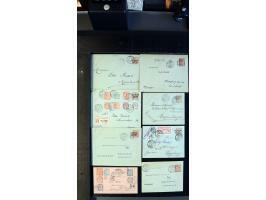 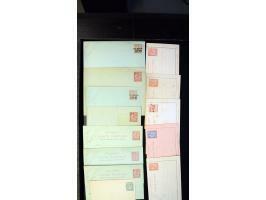 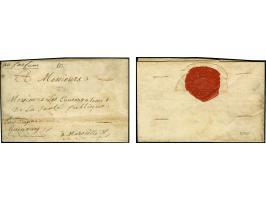 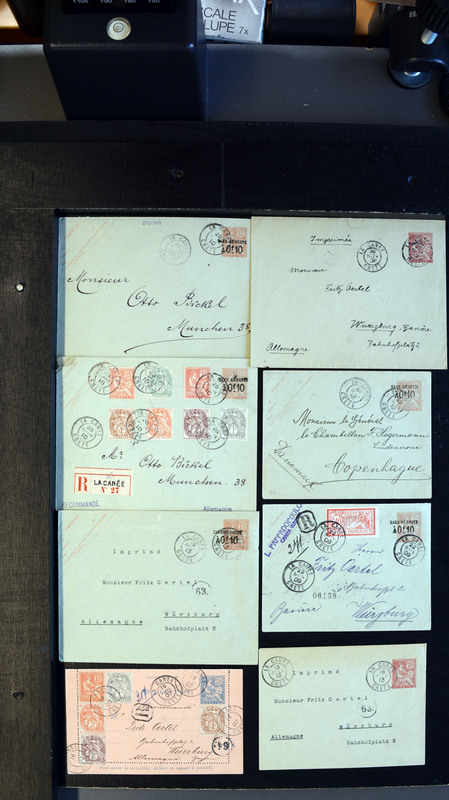 1902/13, Complete set of the postal stationery cards and envelopes issued, in all their different sizes. 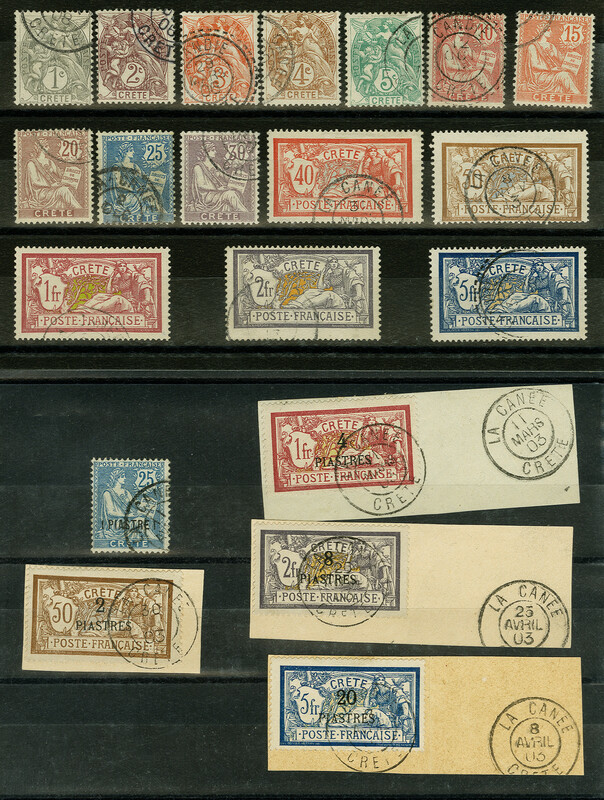 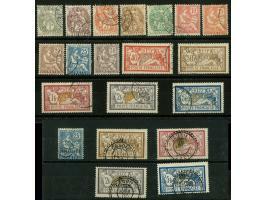 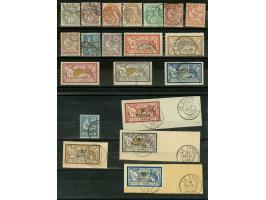 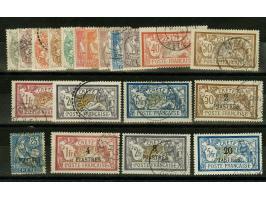 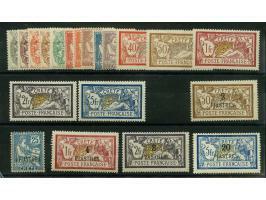 Group of 25 used to a variety of destinations, with or without additional stamps affixed to pay the various rates. 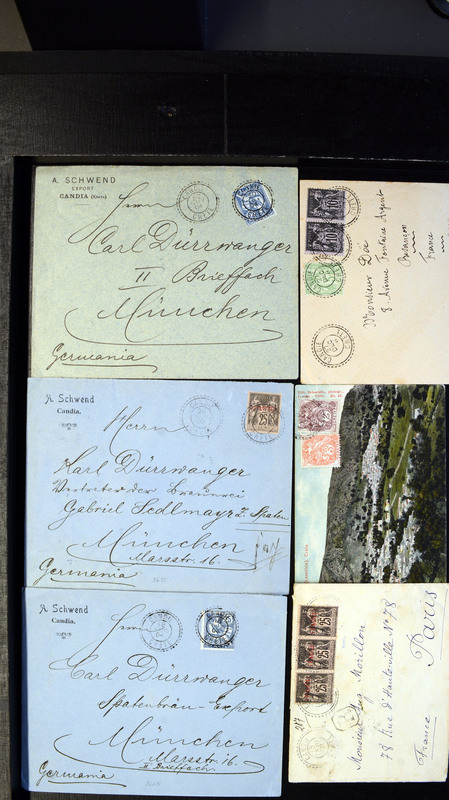 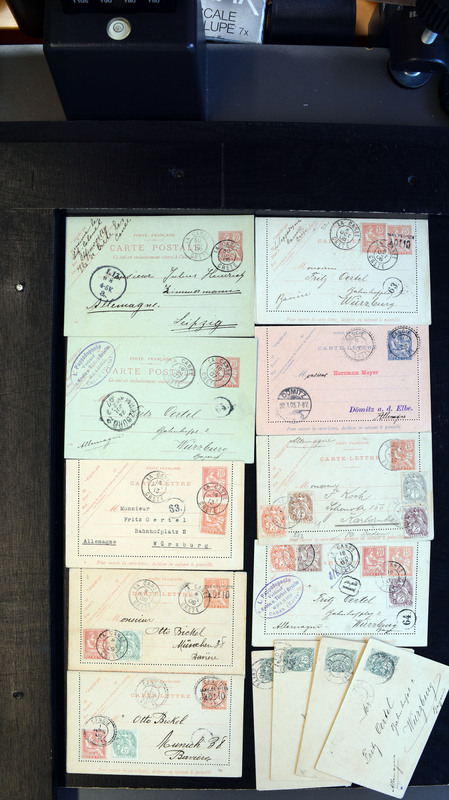 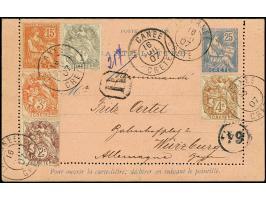 Of particular are registered Mi.U2A and Mi.U2B to Bavaria, uprated, among all of the postal stationery cards without additional frankings to Germany, Austria, Hungary, etc. 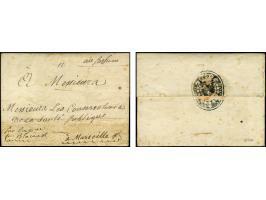 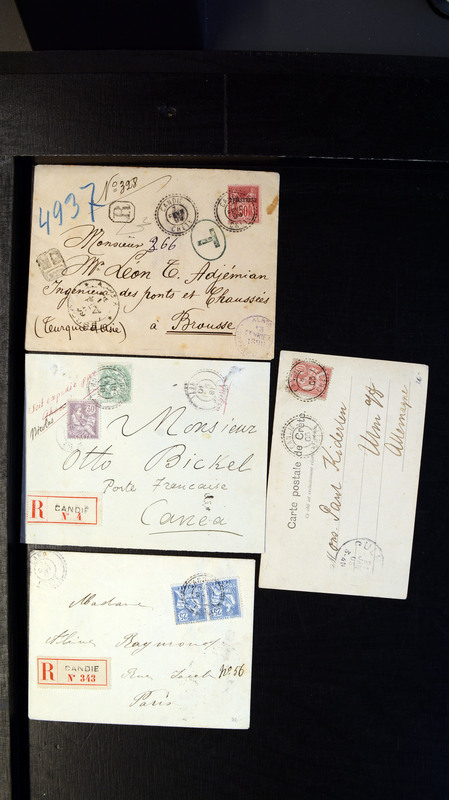 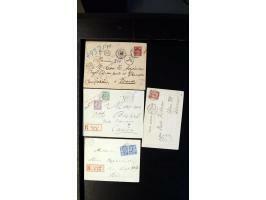 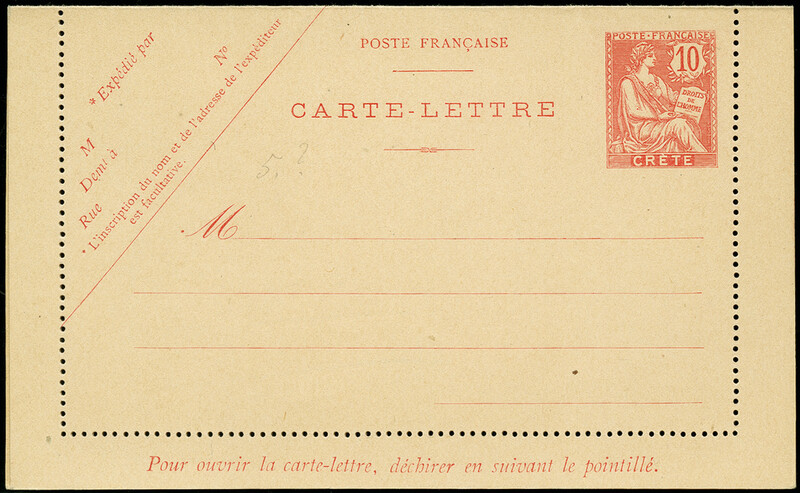 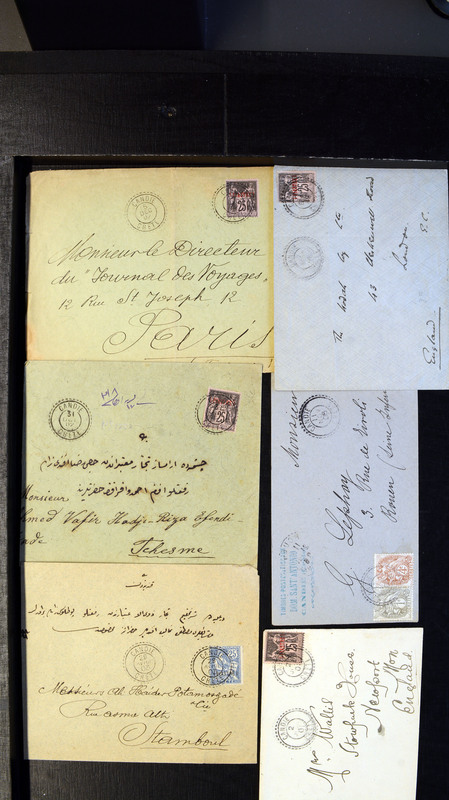 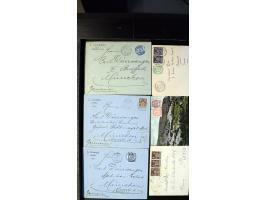 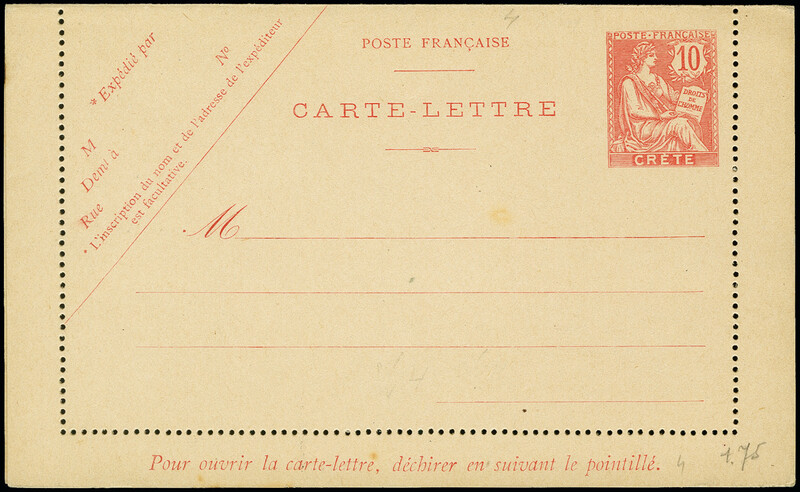 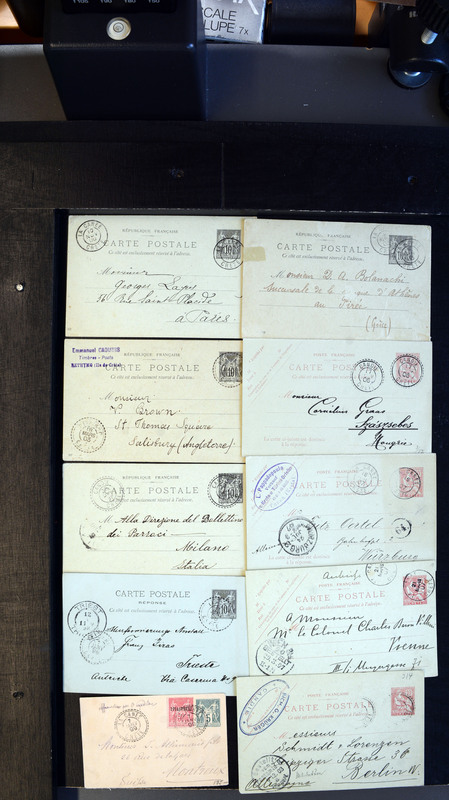 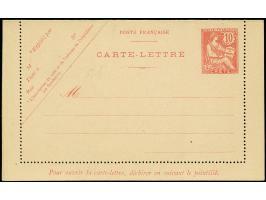 Also included is a group of four France proper 10c postal stationery cards all mailed to different destinations and a small size postal stationery envelope with an additional Offices in the Levant mailed to France. 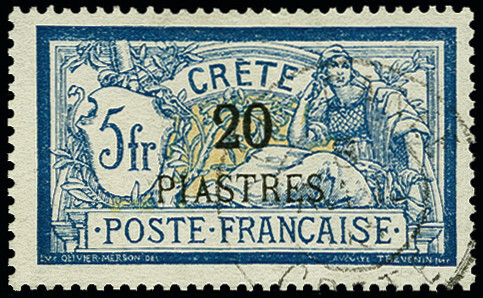 Overall clean.